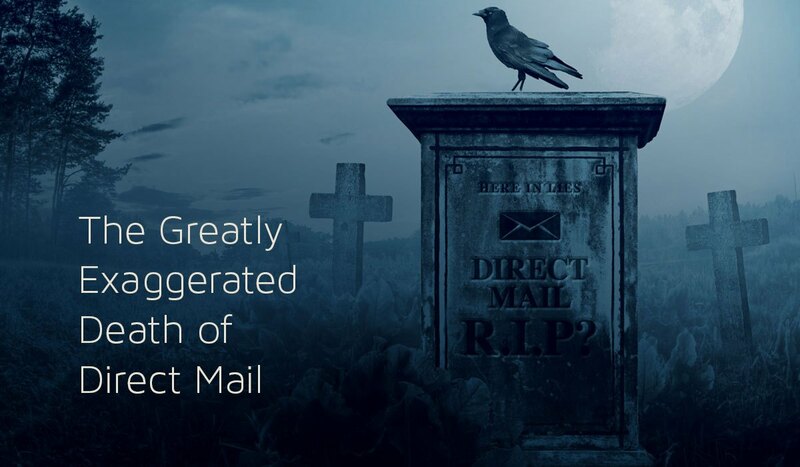 After rumors of his death, the great story-teller Mark Twain once made America smile when he told a newspaper, “Reports of my demise have been greatly exaggerated.” Direct Mail is much the same. Many so-called experts have claimed direct mail is a dead marketing channel. The proclaim many signs of its irrelevance: too slow … too expensive … too boring … too old fashioned … In our attention-deprived, fast-paced, digital world, this claim sounds plausible … but is it true? Recently, I have received mail at my home and office from Honda, Capital One, the American Red Cross, the University of Delaware, Comcast, and surprisingly Google…yes even Google is marketing its online small business services with snail mail. These champion brands understand the value of this oft-abandoned, yet still powerful marketing channel. Especially in the context of a comprehensive, integrated, and multi-channel marketing plan. We have seen time and time again that Direct Mail is a revenue-producing channel for fitness clubs. No only is Direct Mail still a revenue-producing channel, results are easily tracked and it has a much longer “tail” than digital marketing. If it sent to the right audience with the right offer and message at the right time, direct mail will get past the re-cycling bin and on the “to be considered” pile. Compare this to the nano-second lifecycle of an easily deleted email or overlooked digital ad. I have a theory about why Direct Mail has had such staying power in the Digital Age: physicality. Direct Mail is very much about touch and connection. People respond to the physical world around them, especially those who have grown weary of digital overload. When the mail comes, it’s a tactile experience. Touch has become less and less involved in our communication. So when paired with our predictive-model targeting, there has never been a better time to provide prospects with a message they can touch, hold, and easily save for later. To learn about integrating direct mail into your marketing plan, contact Instinctive Insights.